Paul McCartney's girlfriend between 1963 and 1968, Jane Asher was a major influence on his lifestyle and songwriting with The Beatles. For a time McCartney lived at the Asher family home in London, and a number of his songs were inspired by their relationship. I always feel very wary including Jane in The Beatles' history. She's never gone into print about our relationship, whilst everyone on Earth has sold their story. So I'd feel weird being the one to kiss and tell. Born in London on 5 April 1946, Asher was the second of three children born to Dr Richard Asher and his wife Margaret. Dr Asher was a consultant in blood and mental disease at Central Middlesex Hospital in Acton, London, and a broadcaster and author of a number of notable medical papers; Margaret Asher was a professor of the oboe at the Guildhall School of Music and Drama. Coincidentally, one of her pupils had been George Martin, who studied piano and oboe at the school between 1947 and 1950. Jane Asher was educated at Queen's College in London's Harley Street, and began her acting career at the age of five, playing the role of Nina in the 1952 film Mandy. She appeared in a number of notable subsequent films, including The Quatermass Xperiment (1955), The Greengage Summer (1961), The Prince And The Pauper (1962) and Alfie (1966). She also appeared in numerous television programmes, including the British series The Adventures Of Robin Hood, and appeared as a panelist on the BBC music show Juke Box Jury. She met McCartney for the first time on on 18 April 1963, at the age of 17, prior to a performance by The Beatles at the Royal Albert Hall in London. The concert was broadcast live by the BBC on the programme Swinging Sound, and in between rehearsals the group did a photo session for the weekly listings magazine Radio Times. I met Jane asher when she was sent by the Radio Times to cover a concert we were in at the Royal Albert Hall – we had a photo taken with her for the magazine and we all fancied her. We'd thought she was blonde, because we had only ever seen her on black-and-white telly doing Juke Box Jury, but she turned out to be a redhead. So it was: 'Wow, you're a redhead!' I tried pulling her, succeeded, and we were boyfriend and girlfriend for quite a long time. Asher had initially liked the look of George Harrison, and all The Beatles gathered round her after McCartney began chatting to her. They invited her back to their hotel, the Royal Court in Sloane Square, before moving on to the Kings Road apartment of Chris Hutchins, a journalist. 'They couldn't believe I was a virgin,' says Jane. After that night McCartney escorted her home, and they arranged to meet again. They went on a number of dates in London, and their romance became public when they were photographed leaving the Prince of Wales theatre after watching Neil Simon's play Never Too Late. Thereafter they became one of the most frequently featured couples in the press. Paul fell like a ton of bricks for Jane. The first time I was introduced to her was at her home and she was sitting on Paul's knee. My first impression of Jane was how beautiful and finely featured she was. Her mass of Titian-coloured hair cascaded around her face and shoulders, her pale complexion contrasting strongly with her dark clothes and shining hair. Paul was obviously as proud as a peacock with his new lady. For Paul, Jane Asher was a great prize. By summer 1963 The Beatles had become household names, and found it difficult staying in hotels and walking around London unhampered. Although they often went to plays and clubs, McCartney and Asher often stayed in at her parents' home at 57 Wimpole Street, a townhouse with six floors. Jane Asher suggested he regard the house as his London home, and her mother agreed to let him move into the attic room. There were people there and food and a homey atmosphere, and Jane being my girlfriend, it was kind of perfect! Really, I suppose what solidified London for me was the house that they lived in at 57 Wimpole Street. It was really like culture shock in the way they ran their lives, because the doctor obviously had a quite tight diary, but all of them ran it that way. They would do things that I'd never seen before, like at dinner there would be word games. Now I'm bright enough, but mine is an intuitive brightness. I could just about keep up with that and I could always say, 'I don't know that word.' I was always honest. In fact, I was able to enjoy and take part fully in their thing. I feel rather melancholy after finishing reading this. Jane is my favorite Beatle ex. Anyway, nice job done here. My wife, Isabella Asher, is a cousin of Jane. Jane was just named to the 100 most beautiful actress list. Paul needed and needs a loving woman beside him every day but with Jane it was not possible. How do you know? What an extraordinary comment, and very rude towards Jane Asher. From what I’ve read, I’m sure she understood him all too well. Needs? Paul appears to cope quite well thank you without his present wife by his side every minute of the day while on his numerous world tours. I would read up a little more. They were quite wrong for each other in the end. I do too, I really liked her, still do. She is a class act. Can’t believe Paul was so uncaring toward her.She would have made a truly good wife.She deserves to be happy! Jane didn’t give in to him, when he was wrong, he was wrong. Besides, he cheated on her all the time, and in the end it was why she dumped him. Paul was a chauvinist who was used to subservient northern women who let him have his way. Jane was educated, and he learned a lot from her. But he jinxed it up. To her credit, she has never written a tell all and will not to this day discuss Paul McCartney. “subservient northern women”. What a load of tripe – where are you from Barb? Stop swallowing whatever line you’ve read in a ‘Beatles’ biography written by those who never made it north of the Watford gap. Met any “subservient northern women”? Having been a northern woman all of my life I can tell you most of us are the polar opposite of “subservient”. Marianne Faithfull has said she’d wished she hadn’t all but given up her career for Mick, as she did for much of the sixties – she was an upper class woman from the Home Counties. Patti Boyd (another southerner) gave up her career for George. Apparently not “subservient” enough for ‘Barb’ though. Yoko devoted her life to look after John. None were “subservient northern women”. Watch that tendency towards credulity and demeaning, contemptuous bigotry. Not a good look. Yes – speaking as a man I must say that I found that phrase “subservient northern women” incredibly patronising and insulting too. Was it really a woman who wrote such outdated nonsense? If so, she must be a terrible Southern snob. In any case, good reply aerialkate. No one understood Paul choosing Linda, a groupie from NYC. No one understood George cheating on Patti Boyd to the point he drove her into Eric Clapton’s arms, another womanizer. And, not one person on this planet understands John choosing Yoko, the biggest gold digger in rock history. Watch your own tendency to suspend logic for rock glamour. Not sure what you’re on about here, Sarah. I think you have missed the point of aerialkate’s post. And I’m sure she’s plenty happy with her doodler Gerald Scarfe, and Paul’s happy to be rid of her and is very lucky to have found his soul mate Linda. While she is gone, he still loves her and always will. He should thank God Jane and he weren’t married or he would’ve never married Linda and he would’ve never found the true love of his life. They weren’t right for each other. The story of Paul and Francie is not confirmed; Francie Schwartz denies it to this day, and Jane refuses to say anything. I think it’s quite absurd that everyone keeps telling that story when we don’t know if it’s true. I can’t stand the woman, honestly. Even though we share a name. Love her, always have and I do think Paul always loved her even when he was married to Linda, I heard that Linda was jealous of Jane years later and Paul would mention Jane to Linda. I think Linda was a rebound, actually. So were the others. Barb….YOU ARE SO RIGHT! He married the rebound because she was trashy enough to get pregnant as soon as she possibly could…. Well, that’s a classy remark, Patti. I’m sure Mary McCartney would appreciate hearing that. Right….a rebound. A rebound with whom he was never unfaithful, and a rebound he spent every single night of his life with until she died three decades later — except for the 11 days he was in jail for pot. A rebound with whom he had a family who is close and loving…. What is the matter with you people. Are you all really so naive as to think that a person cannot have several meaningful loves over the course of a long life? Paul’s had three: Jane, Linda, and (after she-whom-we-shall-not-name), Nancy Shevell. What vicious, small-minded people are on here. Thank you! I agree! You put what I was feelings into words. To me, it doesnt matter who got who and when. They were a part of the history of the Beatles, memories from my childhood, it was all Beatles for us then. Im happy for her, she has a wonderful life. And he is doing pretty great. Funny how Jane still dislikes Paul to this day. I think Paul got the better woman in the end. I don’t think so, I think he got the woman he wanted. Wanted? He had met Linda a few times already while he was still with Jane Asher. At no time did he seem prepared to give her up for Linda, or any other woman for that matter. I suspect that when he was actually with Asher all other women were out of sight, out of mind. How on earth do you know Jane “still dislikes” him? She hasn’t said a word about him. She has repeatedly said to interviewers that it is “insulting” to be asked about an ex-boyfriend she dated shortly after her 17th birthday and she’s absolutey correct. It’s patronising to her and it’s insulting to her husband, to whom she’s been married for over thirty years. Perhaps what’s eating so many people is the fact that she genuinely moved on and was happier with another man. Their lasting union would seem to suggest this is the simple truth. Well said, aerialkate. Not to mention the fact that life, and hearts, are complicated. People expect celebrities to be one-dimensional characters like in a romance novel. Of course, no human is. It’s quite possible to love your current husband while still having unprocessed emotions for an old flame. Notice I didn’t say “still being in love with an old flame,” but unprocessed emotion. Anyone who has really lived life has stuff that happened decades ago that they are still unpacking. Also if I were Jane Asher, I wouldn’t talk about Paul, either. Why? Because if she were to open that door, that’s all she’d be asked about from then on out. Her decades of acting, her many successes, would be trivial compared to reporters asking what Paul ate for dinner on Boxing Day 1965 or whatever. She’d get completely lost in the Beatles glare. Good for her for keeping a firm boundary. A lucky escape for Jane. McCartney was screwing women all over the place and got sprung by Jane with another girl in her bedroom at her home when she came home early from the U.S. The Ashers kicked him out and immediately Paul hooked up with a groupie he was screwing on the side. It was Linda Eastman . A bedroom hopping pot smoking social climber just like Paul. Jane was far to good for him besides Paul was always attracted to someone who could at times mother him, prepared to stay in the background and not challenge him if he wanted a bit on the side. In this respect Linda was perfect. Source. FAB an intimate life of Paul McCartney by Howard Sounes. A deeply misogynistic take on Linda and one that’s trotted out far too often. Who cares if she had a good time in the 60s? Linda was better for Paul because Jane refused to give up her career. I’m glad Jane took that route, she was ahead of her time. Despite McCartney’s fame and wealth, Asher ended up with the far better man, as far as I’m concerned. It sounds like they all ended up with the people most appropriate for them. Funny how life happens that way. That was a misogynistic view of Linda, and in fact the sexism in this whole ridiculous Jane vs. Linda, Paul vs. Jane’s current husband business makes me throw up in my mouth a little. I couldn’t agree more. While not even close to ‘Beatle’ fame, Linda was proven in her own rite as a photographer. That she chose to put that career to the side when they married perhaps fulfilled both their needs – I always saw it as Paul ready to settle down and start a family, and Linda willing to provide the home he wanted. But I found it curious when he dragged her into Wings; obviously she had little music talent but I think it was more of a security-blanket thing for him. And she willingly played along. The influence on Paul by the Asher family was tremendous; they opened a world of possibilities to him and greatly stretched his mind and musical abilities and curiosity. But for Jane to meet someone when she was 17 and for us to lament that after 5 years it didn’t ‘work out’ (nevermind that they were two young, hard-working professionals in different fields) isn’t realistic. That she did in a few short years find that someone to spend her life with is incredibly fortunate for them both. Some of us go through life and don’t find that someone. I do think Linda was Paul’s soul-mate. Paul, once he settled in to the married man role, well I think he obviously loved it. When Linda died he filled that emptiness way too soon with Heather; we know how that ended. It appears Nancy and he, marrying after a long friendship, seem better suited. Linda is my favorite because she’s nice and we miss her terribly Paul loved linda ???? Linda v Jane (grow up) – but since you brought it up: There’s a reason for that “they never spent a night apart” shtick we always heard. Linda knew damn well Paul had a roving eye and she kept her eye on his at all times. She told several band members she didn’t enjoy touring with (or even being in ) ‘Wings’. Jojo Laine (Denny’s wife) said that Linda was extremely wary of groupies. Paul didn’t cheat on Linda because she never gave him the opportunity. The difference between the marriage proposals between the two women is that Asher wasn’t pregnant when McCartney asked her to marry him. Asher won by walking. For me, as a human being (and not just a Beatle) McCartney was no prize. You know, I love Paul and I always will, but I agree with you whole heartedly. I’ll never understand how Linda became so sainted after she died. I think she get pregnant purposely to rope Paul in. I’m happily married and have no desire to “want Paul for myself”, plus I agree that he is no doubt a difficult person to live with. I admire Jane. She seems happy and she’s a classy lady. I also think Paul’s current wife, Nancy, is a very classy lady. Paul and Linda seemed happy together and they made their marriage work, and I don’t have anything “against” Linda, but I don’t think she was the class act Jane and Nancy are. she needed a shower….Keeping a firm grip on Paul….showing off to everyone that she landed Paul…. I loved Jane Asher. She was so beautiful. She just was’nt the right one for Paul. When he met Linda I think he just knew she was the one. they were married for 29 years, so i guess she was. They went everywhere together. I wish Paul married her. I don’t. He would have made her life a misery. No it is in fact true. The funny thing is when Jane came back from 5 months in the US she said “he was like a different person…” Anyway she went with the real Paul and then with Sargent Pepper, the imposter I still love now, who, with the help of the Beatles, Epstein, and who knows who else, has managed to pull off the most amazing conspiracy of the 21st century. She had to know….right ? Yes, Jane Asher is the only person alive that could definitively put this whole “Paul died in 1966” thing to rest. Jesus, I was wondering when somebody was gonna bring up him being replaced!!! So when did Jane say he was like a different man? After the change was suppose to take place? And I always wondered how the hell he was so much taller then her in the end then in the beginning! Christ he would have needed the shoes the guys in KISS Wore to be that much higher!!!! Women who have less than glowing things to say about their time with Beatle members get savaged online and in the press. They habitually get called “whores”. Every woman is a “liar” and a “publicity seeker”. Jane Asher’s not stupid. She doesn’t fancy millions of Beatles fans giving her grief online. I doubt she harbours any resentment – she’s been happily married for nearly forty years. But if asked to look back about McCartney, in terms of her memories and experiences, she’d probably have some good things and some bad things to say about him. Too many fans can’t brook any criticism of McCartney. Yes Jane Asher and the Paul McCartney who died in 1966 were the perfect couple just as Billy Shears and Linda Eastman were the perfect couple. That makes better sense. I’m amazed that Jane could keep up the pretense. Do you hear that siren? It’s the men in the white van; they’re coming to pick you up. NO ONE is THAT GOOD! Paul, was a young handsome guy in his 20s at the height of his fame with more temptations that any of us will know in 100 lifetimes. Had he met her after 70 they might be together still. 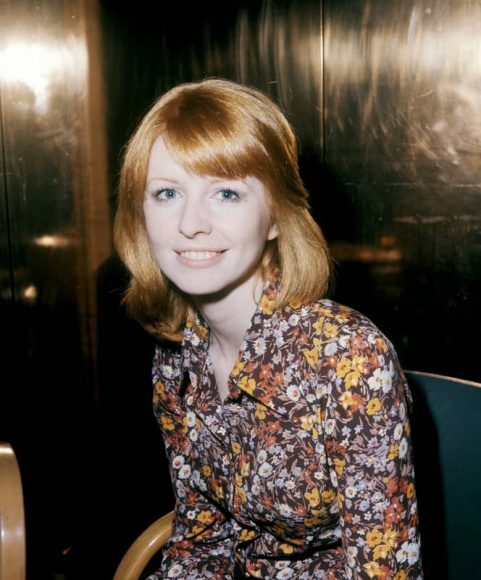 Jane asher is a true beauty. What happened with them was a simple twist of fate. The fruits of adversity are the sweetest. So I think they are much happier with their own separate lives. How about the song “For No One”? I remember seeing her in some British funeral film. She aged well and was a total English Rose in the day. I wonder why she is so quit about her data with Paul. I would love to hear her story. Meh never cared for her. And besides I think Paul looked much better than whatever she thought about George. Linda said she thought Paul was beautiful and even took a photo. Not that its about looks but he sure did last longer with Linda otherwise. They just grew apart, that’s all. I suppose many don’t realize how hard it was for both of them to be true blue with those careers,at that age,in those times. Not many celebrity couples go the distance,right? We lifelong Beatle fans project our own fantasies at times about the other fab four, Cynthia,Jane,Pattie and Maureen…but again, none of them went the distance. We can all read about the juicy details regarding Beatle women in hindsight, but in the end no one but THE BOYS and their women know why some things clicked and others didn’t. We have the music,words,and books…that’s good enough. It is amazing that so many of us are still intensely interested in the private lives of the Beatles, fifty years later, but we are. I visited Liverpool, and 20 Forthlin Road, and Mendips in 2008, and it was magical… When you consider the 60s, and the insane level of fame that the Beatles achieved, it is unsurprising that their first marriages (or first serious relationship, in Paul’s case) suffered as a result. What young guy, in his 20s, could resist the temptations that the Beatles had? What is amazing is that Paul, John, George and Ringo all found long-lasting happiness in their respective second marriages/relationships. Does anyone doubt that Paul and Linda would still be together? or John and Yoko? or George and his second wife? if not for death itself causing their separation? For that matter, Jane Asher–still beautiful and successful, aged 70–has been with her man since 1971. So let go of your fantasies about Jane and Paul already–they both did, a long, long time ago. It’s not about any fantasies between Jane and Paul. 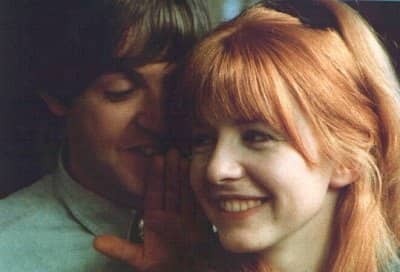 Jane Asher refuses to talk about her five year relationship with Paul McCartney and she is absolutely right. Instead, it’s about recognising her personal place within the Beatles’ inner circle which can’t be divorced that easily from the music. And without her input there will always be a big hole in the Beatles history. It seems that Paul is more than happy to attribute his negative songs to her (For no one, You won’t see me etc.) but describes his most beautiful love songs, with their powerful imagery, as being written about “nobody in particular”. What a complete sham. Here’s a man who likes to think of himself as a serious artist – well if he can’t take his own songs seriously then why on earth should we. His excuses for the failure of his relationship with Jane are pathetic – we didn’t click, it didn’t feel right, she had a boyfriend, ad nauseum. He was nothing but a love cheat and walking out was the best thing she ever did. I always liked Paul best, but at times he is very hard to like. Jane Asher was the most significant female throughout the Beatles era from 1963-1968. Get over it. If Paul had never met her in the first place nobody would give a damn about his wives or any of the other women in his life who have set about telling their tawdry tales. He had to say his most beautiful love songs were about, “nobody in particular” or Linda would have had his head for mentioning Jane. Or, more likely, he was sensitive to Linda’s feelings, which he learned from Jane. Out of respect for your current love, don’t talk about your exes. If Macca hadent gone out with Jane, the Beatles might never have progressed on to using strings in their music………..
It’s never too late to find love again. I waited too long but I appreciate my love more now. I know he found another woman because we all deserve love and peace of mind. I will be always kind to her and their children. Life is about building bridges and not tearing them down. Why are people so obsessed with the private lives of celebrities? I love Paul’s music and the music of the Beatles. No one that has ever experienced fame and being under a microscope of the press can possibly understand the lives of famous people. I just wish happiness for both Paul and Jane. I find it tragic that people judge others when we all have our own messed up relationships…that’s part of being human. I think life is long and sometimes relationships just don’t work out. They are after all people. Didn’t read every single comment but you have to look at the person’s AGE. When one is in their early 20s, “love” looks a lot different than it does in your 30s and 40s! Or even in your late 20s! Jane might not have been the right woman for him at the time. Perhaps another time? No one will know. But I have to say, Linda was always “in with the band” for a reason (LOL). I don’t blame her for trying to keep an eye on him. As we age our perception and definition of love changes and evolves . That’s all I’ll say about it. Jane is soooooo much more than Paul McCartney’s ex. Well done her. It seems that indeed Linda was probably the love of Paul’s life, however I don’t regard her as being nearly as classy as Jane. From most everything I’ve ever read about Linda pre-Paul, she was indeed a rock band groupie of sorts, and she successfully set her sight on catching Paul. He seemed very happy with her. To each his own, I suppose. Paul is my favorite musician of all time. (I’ve had a crush on him for over 50 years now, lol.) Having said that, he was definitely no saint himself.